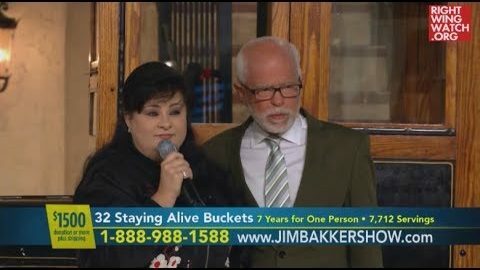 Televangelist Jim Bakker used Friday’s episode of his television program to warn that the volcano under Yellowstone National Park will soon erupt and urge his audience to buy his buckets of survival food to prepare. 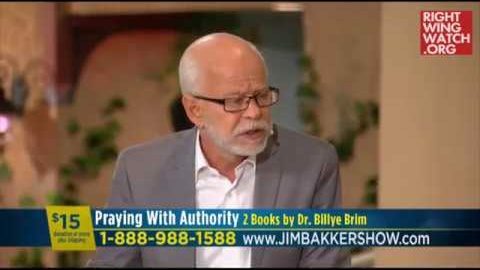 Bakker, whose business dealings around his prepper food are murky, told his audience that he was selling them the food at a very low margin. “I feel like we’re more of a co-op, you help me and I’m helping you, and we’re a co-op,” he said. 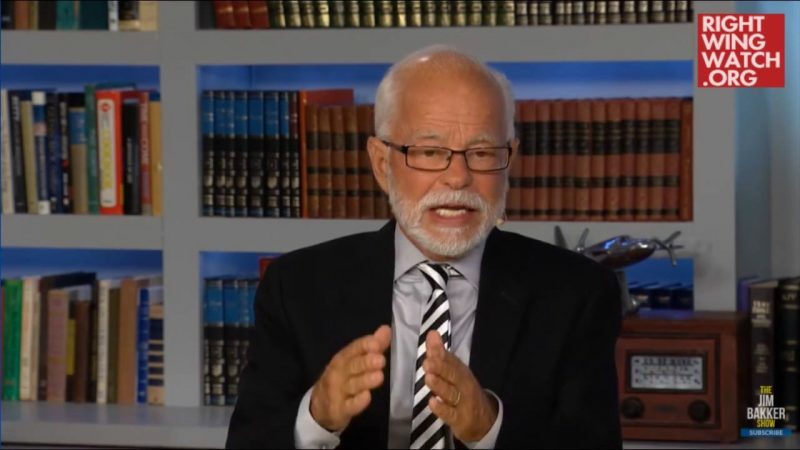 Bakker soon returned to his offer of free shipping for certain products.